Next stop in my random geographic coordinates series? The Philippines. Two years ago, when I was teaching elementary school students about breads from around the world, I asked the children if they had a favorite type of bread. 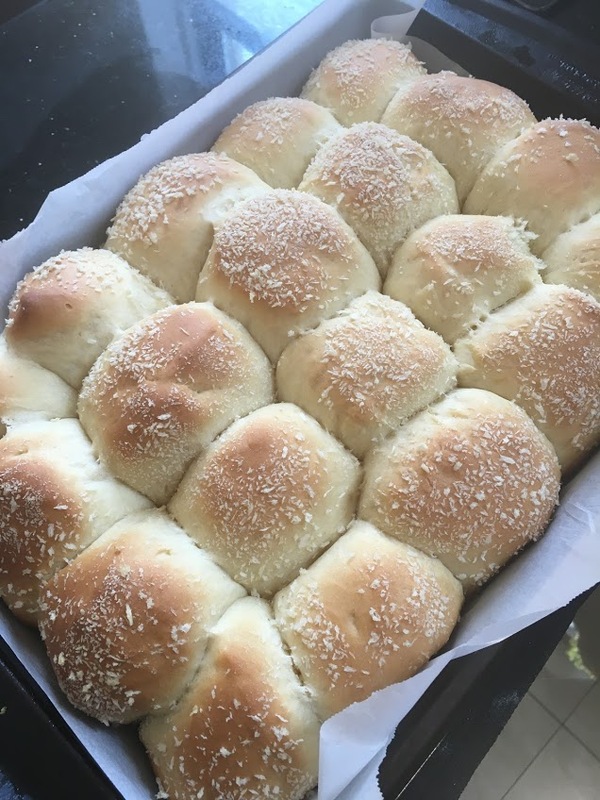 A fourth grader shared that she had fond memories of eating pandesal, a popular Filipino bread roll, when she visited her mother’s family in Manila. She asked if we could make the rolls in class, but we never got around to it. However this bread, a Filipino breakfast staple often considered to be the “bread of the masses,” stuck in my mind ever since. Pandesal is a yeast bread typically containing salt, sugar, flour, milk, and butter, and was introduced to the Philippines centuries ago during the era of Spanish colonization. The name means “salt bread” in Spanish, but the rolls are really more sweet than salty. And the true standout ingredient, to me at least, is neither salt nor sugar but egg. I’m a big fan of egg breads (think challah and brioche.) The crumb is rich, dense, and smooth, lending itself well to French toast. What roll does egg play in baking? Eggs contain both protein and fat. The former adds structure to the dough, while the latter simultaneously makes the dough tender. Baked goods become particularly tender when sugar is added, and there is plenty of sugar in pandesal. The rolls are typically coated in bread crumbs, adding a nice crunch to the exterior. Below, you’ll find the pandesal recipe I used. I adapted the recipe very slightly, swapping out active dry yeast for rapid rise yeast, which I find makes a fluffier dough, and melting the butter so it’s easier to stir in. I’ve read that the rolls can be eaten plain, dunked in coffee, or filled with jam, peanut butter, eggs, condensed milk, and a variety of other fillings. According to one blog, you can even transform them into ice cream sandwiches! In a large bowl, mix together milk, eggs, salt, sugar, and butter. Stir in yeast mixture and 2 cups flour. Add remaining flour and mix until dough begins to come together. Divide dough into even-sized pieces (the original recipe calls for 24 pieces; I divided it into slightly fewer), and roll into balls. Roll each ball in bread crumbs, and place in a parchment-lined baking pan (you don’t need to leave space between the rolls.) Cover and let rise again for about an hour, until rolls are double in size. Shortly before rolls are finished rising, preheat oven to 225 degrees F. Bake for 20 minutes. Increase temperature to 325 degrees F and bake for an additional 10-15 minutes. The rolls should be golden-brown.